Born in 1963 in the village of Marsden, England, Simon Armitage is an award-winning poet, author, songwriter, playwright, and translator. Residing in West Yorkshire, he is the current Professor of Poetry at Oxford University (2015-2019) and is Professor of Poetry at the University of Sheffield. 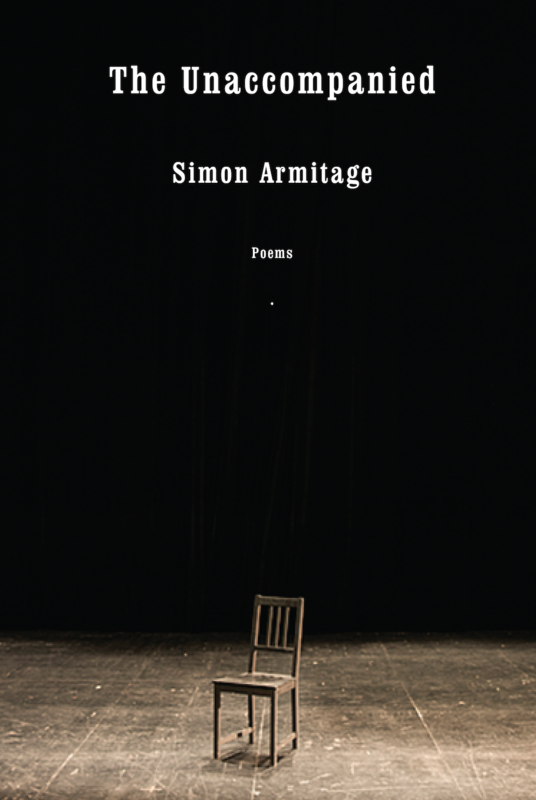 The Unaccompanied (August 2017), a powerful new collection of poetry in which Armitage X-rays the weary but ironic soul of Britain with grace, is his most recent publication. Armitage’s first full-length collection of poems, Zoom!, was published in 1989 and Xanadu was published in 1992, both by Bloodaxe Books. Further collections, all published by Faber & Faber, include: Kid (1992); Book of Matches (1993); The Dead Sea Poems (1995); Moon Country (with Glyn Maxwell, 1996); CloudCuckooLand (1997); Killing Time (1999); Selected Poems (2001); Travelling Songs (2002); The Universal Home Doctor (2002); Tyrannosaurus Rex Versus the Corduroy Kid (2006; in the US by Knopf 2008), shortlisted for the National Book Critics Circle Award; Seeing Stars (2010, in the US by Knopf 2011); and Paper Aeroplane, Selected Poems 1989-2014 (2014). The Shout, his first US collection was published by Harcourt in 2005 and was also shortlisted for the National Book Critic’s Circle Award. With Robert Crawford he edited The Penguin Anthology of Poetry from Britain and Ireland Since 1945 and is the editor of a selection of Ted Hughes’ poetry. Armitage’s highly acclaimed translation of the middle English classic poem Sir Gawain and the Green Knight was commissioned by Faber & Faber in the UK and Norton in the US and published in 2007; the translation has sold over one hundred thousand copies worldwide and now appears in its entirety in the Norton Anthology of English Literature. A further medieval translation, The Death of King Arthur, was published by Faber and Norton in 2011, was a Poetry Book Society Choice and was shortlisted for the 2012 TS Eliot Prize. His translation of the medieval poem Pearl was published in 2016 from Faber & Faber in the UK and from Norton in the US. Armitage writes extensively for radio and television, and is the author of four stage plays, including Mister Heracles, a version of the Euripides play The Madness of Heracles, and The Last Days of Troy, performed at Shakespeare’s Globe in 2014. His dramatization of The Odyssey, commissioned by the BBC, was published as Homer’s Odyssey – A Retelling by Faber & Faber in the UK and by Norton in the US. In 2005 he received an Ivor Novello Award for his song-lyrics in the Channel 4 film Feltham Sings, which also won a BAFTA, and in 2006 his television documentary Song Birds was screened at the Sun Dance Film Festival. As a broadcaster Armitage has presented films for the BBC on Sir Gawain and the Green Knight, Arthurian Literature and on Homer’s Odyssey, sailing from Troy in Turkey to the Greek island of Ithaca. In 2006 he wrote the libretto for the opera The Assassin Tree, composed by Stuart McRae, which premiered at the Edinburgh International Festival. Armitage has published two novels, Little Green Man (Penguin, 2001) and The White Stuff (Penguin, 2004). His other prose works include the three best-selling non-fiction titles All Points North; Walking Home—published in the US by Norton under the title Walking Home, a Poet’s Journey; and Walking Away. One of England’s best-loved authors, Simon Armitage is an award-winning poet, author, songwriter, playwright, and translator. His numerous collections of poetry include The Unaccompanied (August 2017), Paper Aeroplane: Poems 1989-2014, Seeing Stars, Tyrannosaurus Rex Versus the Corduroy Kid, and The Shout. In addition, he has published new verse translations of The Odyssey, Sir Gawain and the Green Knight, and The Death of King Arthur. His nonfiction book, Walking Home: A Poet’s Journey, documents his 265-mile walking tour across England, working as a “modern troubadour.”In 2010, for services to poetry, Armitage was appointed Commander of the Order of the British Empire (CBE) at Buckingham Palace. His other numerous awards in the UK include the Gregory Award and a Forward Prize; in the US he has received a major Lannan Award and was twice shortlisted for the National Book Critics Circle Award. Armitage is the current Professor of Poetry at Oxford University (2015-2019) and is Professor of Poetry at the University of Sheffield. After more than a decade and following his celebrated adventures in drama, translation, travel writing and prose poetry, Simon Armitage’s eleventh collection of poems heralds a return to his trademark contemporary lyricism. The pieces in this multi-textured and moving volume are set against a backdrop of economic recession and social division, where mass media, the mass market and globalisation have made alienation a commonplace experience and where the solitary imagination drifts and conjures. The Unaccompanied documents a world on the brink, a world of unreliable seasons and unstable coordinates, where Odysseus stalks the aisles of cut-price supermarkets in search of direction, where the star of Bethlehem rises over industrial Yorkshire, and where alarm bells for ailing communities go unheeded or unheard. Looking for certainty the mind gravitates to recollections of upbringing and family, only to encounter more unrecoverable worlds, shaped as ever through Armitage’s gifts for clarity and detail as well as his characteristic dead-pan wit. Insightful, relevant and empathetic, these poems confirm The Unaccompanied as a bold new statement of intent by one of our most respected and recognised living poets. From the acclaimed translator of Sir Gawain and the Green Knight, a spellbinding new translation of this classic allegory of grief and consolation. The publication of Simon Armitage’s Sir Gawain and the Green Knight was a literary event, garnering front-page reviews on two continents. Armitage now turns his attentions to another beloved medieval English masterpiece attributed to the same anonymous author, reanimating it with contemporary vigor. Honoring the rhythms and alliterative music of the original, Armitage’s translation describes a man mourning the loss of his Pearl, something that has “slipped away.” Drawn back to the garden where his Pearl disappeared, he falls asleep, dreaming of a radiant apparition. Much like Dante’s Beatrice, this maiden leads him through the throes of grief toward divine redemption. 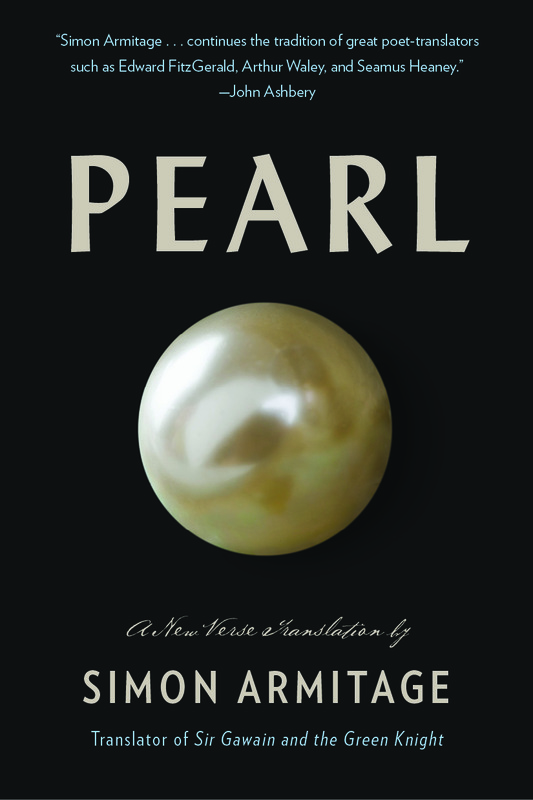 Armitage’s lyrical translation—presented here with facing original text—is a circular and perfected whole, like the Pearl itself. When Simon Armitage burst onto the poetry scene in 1989 with his spectacular debut Zoom!, readers were introduced to an exceptional new talent who would reshape the landscape of contemporary poetry in the years to come. Now, twenty-five years later, Simon Armitage’s reputation as one of the nation’s most original, most respected and best-loved poets is secure. Paper Aeroplane: Poems 1989-2014 is the author’s own selection from across a quarter-century of work, from his debut to the latest, uncollected work. Drawing upon all of his award-winning poetry collections, including Kid, Book of Matches, The Universal Home Doctor, and Seeing Stars, this generous selection provides an essential gathering of this most thrilling of poets, and is key reading for students and general readers alike. King Arthur comes to vivid life in this gripping poetic translation. First appearing around 1400, The Alliterative Morte Arthure or The Death of King Arthur, is one of the most widely beloved and spectacularly alliterative poems ever penned in Middle English. Now, from the internationally acclaimed translator of Sir Gawain and the Green Knight, comes this magisterial new presentation of the Arthurian tale, rendered in unflinching and gory detail. Following Arthur’s bloody conquests across the cities and fields of Europe, all the way to his spectacular and even bloodier fall, this masterpiece features some of the most spellbinding and poignant passages in English poetry. Never before have the deaths of Arthur’s loyal knights, his own final hours, and the subsequent burial been so poignantly evoked. Echoing the lyrical passion that so distinguished Seamus Heaney’s Beowulf, Simon Armitage has produced a virtuosic new translation that promises to be both a literary event of the year and the definitive edition for generations to come. A thrilling new collection from the hugely acclaimed British poet Simon Armitage. With its vivid array of dramatic monologues, allegories, and tall tales, this absurdist, unreal exploration of modern society brings us a chorus of unique and unforgettable voices. All are welcome at this twilit, visionary carnival: the man whose wife drapes a border-curtain across the middle of the marital home; the black bear with a dark secret; the woman who oversees giant snowballs in the freezer. “My girlfriend won me in a sealed auction but wouldn’t / tell me how much she bid,” begins one speaker; “I hadn’t meant to go grave robbing with Richard Dawkins / but he can be very persuasive,” another tells us. The storyteller behind this human tapestry has about him a sly undercover idealism: he shares with many of his characters a stargazing capacity for belief, or for being, at the very least, entirely “genuine in his disbelief.” In these startling poems, with their unique cartoon-strip energy and air of misrule, Armitage creates world after world, peculiar and always particular, where the only certainty is the unexpected. From one of the most important British poets at work today, this brilliant collection meditates on human battles past and present, on youth and age, on monsters and underdogs, on the life of nations and the individual heart. In poems that are sometimes lyrical, sometimes brash and comic, and full of living voices, the extraordinary and the mythic grow out of the ordinary, and figures of diminishment and tragedy shine forth as mysterious, uncelebrated exemplars. Armitage tells us ruefully that “the future was a beautiful place, once,” and with a steady eye out for the odd mystery or joyous scrap of experience, examines our complex present instead. written in small coins on his front step. which channel to watch, which button to press. a voice, but I was handsome and late. from the west, sluicing all meaning and shape. a letter or even a word might form. to meet his eyes, trying to read his face. then swings it swiftly toward the bare skin. that the bright steel blade took a bite from the floor. and the king’s men kick it as it clatters past. his bloody neck still bled. was deadened now with dread.